Faint-Hearted Ranch is Fainting Goat breeder located in Lancaster, California owned by Jessica Shaffer. Spring kidding season is HERE! We have quite a few babies available. You can see them on the "for sale photo album." More kids being added to the album daily so check back often! We are located in Lancaster, CA. 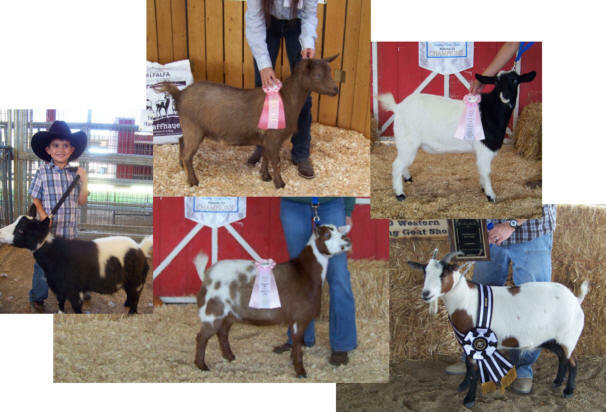 We raise Tennessee Fainting goats (Myotonic goats) and a variety of poultry. After working with horses for many years I am often asked the question "Why did you choose goats? My answer to that is "Why not?" Goats have so much to offer a family. They are easier to care for and they don't take up a lot of space. They are very friendly, adorable, and smart. They can be used to pull a cart, as a pack goat, they can be taught to do agility...easily learning to do tricks, they can be used for fresh healthy milk.... which leads to the production of cheese, butter, soaps, lotions and many other foods and products. Their milk is wonderful for those with allergies as well. They can be used for brush control in heavily overgrown areas and they will not overgraze an area like cattle and horses do. Goats can also be used for meat, their meat is lean and healthy, Myotonic goats have a higher meat to bone ratio than other meat goat breeds due to their myotonia. This means, that a 200 lb Myotonic Goat will have the same amount of meat as an over 300 lb meat goat of another breed! So more meat on a smaller animal that eats less, equals more profit! Last but certainly not least....fertilizer!!! Goat manure does not need to be composted as do other forms of manure. Simply add it to your garden and your soil will flourish. 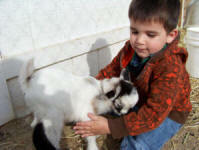 The list of uses for a goat goes on and on....but here at our ranch their number 1 use is to make us smile. We love our fainting goats. We usually have fainting goat kids available from January-May and also September- December. 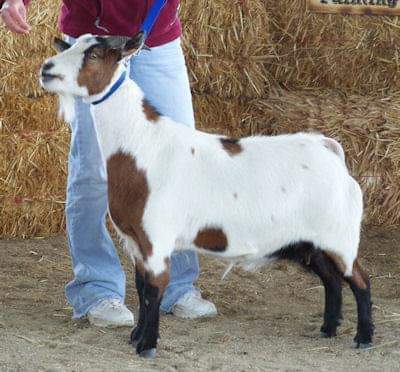 Check out our For Sale page to see our fainting goats that are for sale! You may also want to look at our breeding schedule page to see which breeding pairs are expecting kids and due dates. Feel free to contact us for information on upcoming breedings or any questions regarding our animals. Check back often as we will update our site as any new events occur!